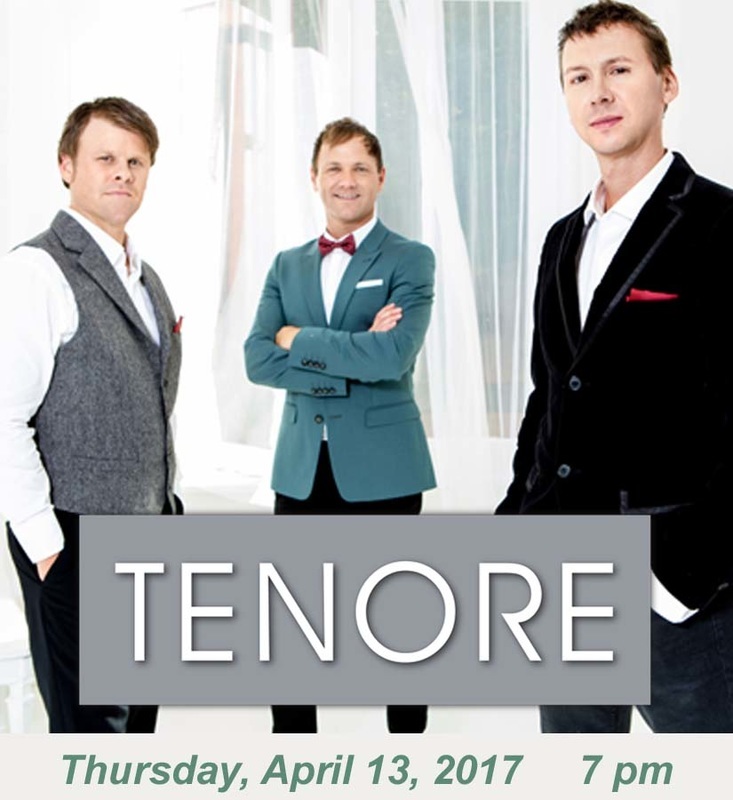 Tenore - the multiple award-winning tenor group that shot to international acclaim since the release of its debut album in 2011, winning the GMA’s Covenant Awards for Traditional Album of the Year, Song of the Year and Fan Choice of the Year across the entire country. Tenore was founded by Jill Ann Siemens, also Founder of multi-platinum recording group, The Tenors (aka The Canadian Tenors). Tenore's powerhouse vocals are now sought after across North America and around the world. Performing to sold out audiences and mega churches across North America, Tenore has criss-crossed the globe from Kampala to California, appearing on shows such as the popular Hour of Power television show at LA's Crystal Cathedral as well as appearing many times on Huntley Street. Touring world-wide, along with live TV and award recognition, Tenore has garnered an impressive, loyal and international fan base. In 2014 Tenore received the GMA Covenant Award for Seasonal Album of the year and were privileged to record the cover song, “Christmas with You” with Grammy-award winning vocal superstar, Heather Headley.